Thanks to the great Blog: Tundra Tabloids for this post. Brutal photo available at the bottom of the post. 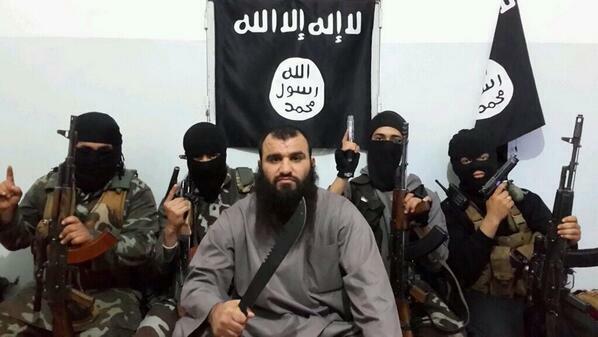 Abdurahman, apparently a Dutch jihadi from Almere, can be seen on You Tube with a bloody knife behind five cut-off heads. He is originally from Iraq, and has lived more than ten years in The Netherlands. He lived there from social security as he was found unfit to work and used drugs against claustrophobia and schizophrenia. This entry was posted in Collapse Of Law and Order, Islam in Europe and tagged Beheading, Dutch, Holland, ISIS, Jihadi, Severed Head, Syria, Welfare. Bookmark the permalink.